When Walt Mossberg, Kara Swisher and the entire AllThingsD crew left the Wall Street Journal you weren’t thinking those hot seat interviews were dead, were you? Well new Blacbkerry CEO John Chen was in the hot seat on Wednesday at the inaugural re/code Code Conference the new conference starring the former AllThingsD team. Re/Code co-founders Swisher and Mossberg have already said that while some things are changing and improving, the deep, insightful interviews at their conferences live on. 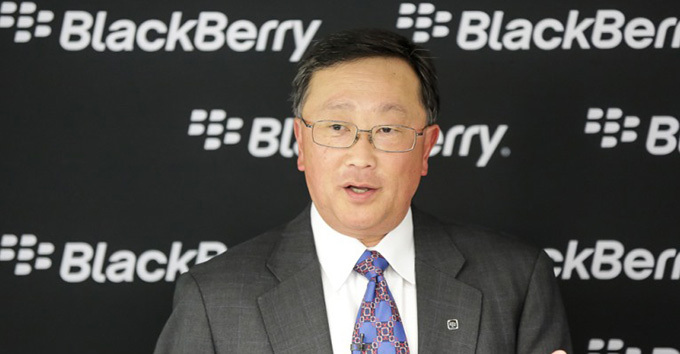 Such is true for Chen’s first hot seat interview as Blackberry’s CEO tasked with turning the beat around. While the world is still curious about what will happen with Blackberry, Chen was at least able to poke some fun at the situation. Re/Code’s Dawn Chmielewski reports that Chen said “We have a lot of problems,” and went on to add “But it’s not dead.” during his appearance on the Code stage. Chen seemed to indicate that the mess he walked into was a little worse than he had anticipated. The company’s handset business was weaker than he was originally led to believe. There were other parts of Blackberry technology that looked promising though like security and embedded systems. So how does he plan on turning the company around? Chen said that they were going to get back to their roots in the handset department by targeting enterprise and industries like medicine that offer more stringent security measures. Blackberry is also hoping to make a dent in the “internet of things” by licensing or selling technologies to companies who would then use their technology in products sold to consumers.